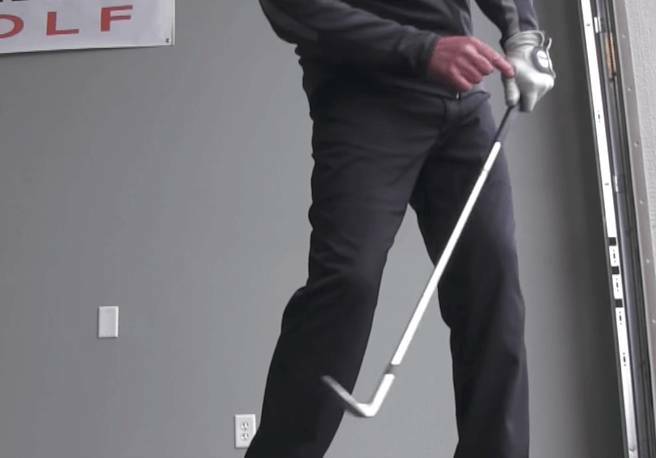 What Is the Key to Hitting High Spinning Wedges? These are two of the most common requests by golfers everywhere, especially higher handicap players and people new to the game. We see the shots on TV. Skip, skip, stop. It’s amazing to watch. Those high spin wedge shots…they’re beautiful, are they not? Among amateurs, it’s the desired shot. After all, who doesn’t want to hit it like the guys they see on TV? In this blog, we’re going to dive into ways that you can go to the course and hit this very shot—the high spinning wedge shot. We hope that by understanding a few key concepts and working through a few basic principles, that you’ll be able to start getting that ball to hop-and-stop, right next to the pin. How Do I Hit the High Spinning Wedge Shot? In order to achieve this shot, there are a few factors that need to be optimized. We’re going to break this shot down, concept-by-concept, so you can understand exactly what needs to be done to hit the high spinning wedge shot. One of the key concepts to hitting wedge shots with spin is clean contact. Golfers on the professional level and elite amateur level do it better, and more consistently, than average players. It’s that clean contact between the club face and the golf ball. By striking the ball clean (with fresh grooves and a clean club face), friction is generated between the golf ball and the club face. 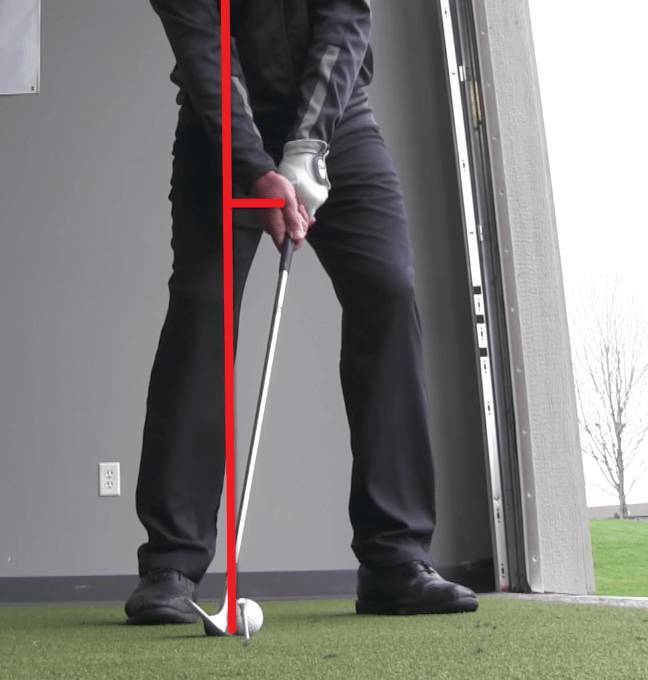 This friction, given the strike and the loft on the golf club, creates backspin. The cleaner the contact, the more the spin. Given the correct impact conditions, it’s how high spin wedge shots are hit. When watching on TV, every single shot hit with spin is hit with clean contact. This is a concept that differs from what you might anticipate. A shot with a lot of spin will come off the face lower than you might expect. The science lies in a little known factor called Spin Loft, but that’s another blog for another day (in the meantime, here’s a great article by Andrew Rice discussing it). The ideal launch conditions for a ball to carry a lot of spin from 75 yards sits between 27 degrees and 32 degrees. 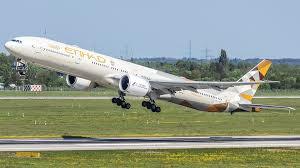 If you don’t have access to a Flightscope or launch monitor, there’s a basic visual you can use to see this shot: picture an airplane at takeoff. When looking at specific numbers for spin, better players will be putting in the neighborhood of 8,000 RPMs of spin on the golf ball from this distance (75 yards). We’ll be brief here, as the dynamic loft is an entirely separate concept on its own. Just understand and note, that there is a difference between static loft (for a 58-degree wedge, that’s 58-degrees) and dynamic loft (the loft the club carries at the moment of impact). For this type of shot, the club may be delofted. This means the dynamic loft is less than the static loft. More information in this awesome video by Mark Crossfield. Callaways, Titleists, Bridgestones, Pinnacles, Top Flites, Srixon, TaylorMades, Nikes, Maxflis, and Precepts (even Kirklands). The list of golf balls goes on-and-on-and-on. We aren’t even talking about the subsets of golf ball types each manufacturer creates. ProV1s, Chromes, B330s—you know what, we don’t have the time…you get the picture. At the end of the day, each golf ball is designed to do something a little different. If you want to put spin on the golf ball, you need to be using a ball designed for feel and touch around the greens. At USGolfTV, we use Titleist ProV1s. It’s a ball designed to spin and perform throughout all aspects of the game. Do research on the type of golf ball you’re using. Be sure that it’s a ball designed to spin. When the ball is sitting in deep rough, a divot, soft and matted grass, or any other type of lie that is not sitting clean, you will not be able to spin the ball very well—at all. You must be able to access the back of the golf ball to hit a shot with spin. It’s all about that contact. Listen to the way the pros talk in their post-round comments. When talking about specific shots, they talk about the way the lie affects their shots. The lie is a big deal! The reason the lie is important leads back to Key Concept #1: Clean Contact. The crappier the lie, the harder it is to achieve Clean Contact. This is a very simple concept to understand, but to hit this shot, you want to play the shot slightly back in the stance. Simple terms: back of center. The helps with making solid contact and controlling the angle of attack. The key technique for this shot is hitting the shot with a shallow angle of attack. The shallow angle of attack provides less likelihood that grass and turf can get between the ball and the face, creating cleaner contact. This is key for spin. A key thought for this is to have the handle of the club and the head of the club traveling through impact at the same time. See the images below. So, What Numbers Am I Looking For? Now these numbers will vary based on the lie, the conditions, the club, the loft, and the speed at impact. These are only a base frame. But it’s important to understand the general ranges. No ball spinning at 4000 rpms is going to have enough spin to effectively stop on the green. Hopefully these tips help you start hitting better wedge shots. Be sure, if you’re interested, to watch the full 21-minute video with Todd Kolb. Thank you for reading, and good luck out there! It’s a great article indeed! Your article & video content, both are just amazing & it’s very unique than others. But you could add a bit more about friction. As you know that friction is everything! well, I appreciate your writing.